Only a few minutes to paint today, and I was charmed by these sole surviving peppers from my garden, they sat on the kitchen counter, begging to be painted! I had to oblige. Thank you Krista and Pat! You made the most of a few minutes that's for sure! Super color and overlapping shapes! Thank you Theresa, it was different to dip into the reds and oranges, I don't paint with those enough! 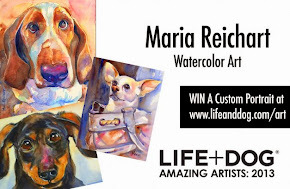 Thank you Mary, I have a hard time staying out of the paint for too long, I miss it when there is no time to paint. I am glad you stopped by Cathy, I really enjoy your watercolor work. I have noticed lately how time has been flying by, I try to keep that in mind on those crazy busy days, lots of driving and activities, try to be cheerful and remember these days will pass quickly! Thank you Diana, i love that you noticed the shadow! Well done Maria! 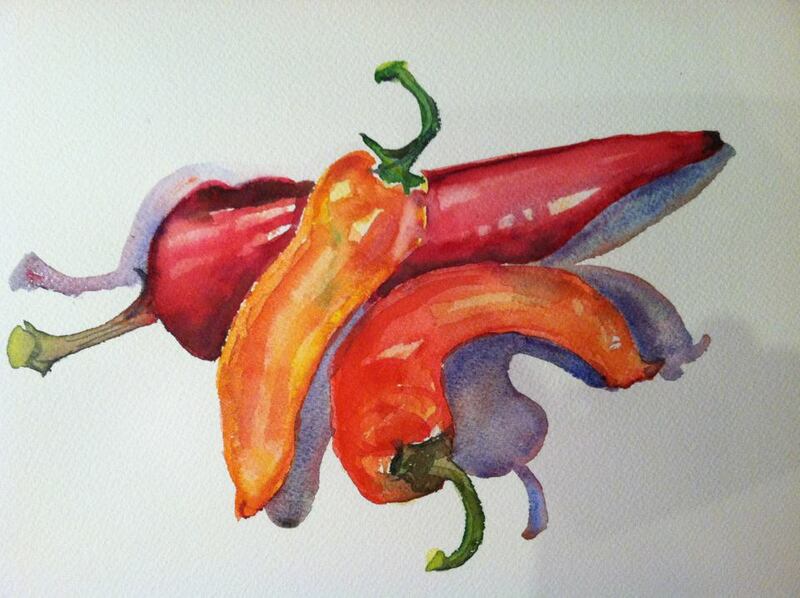 The heat is steaming from these peppers, beautiful and warm colors.